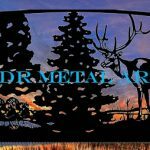 FAQs - Custom Driveway Gates - Iron Steel & Aluminum - JDR Metal Art - FREE Standard Shipping! Yes, we can install driveway gates anywhere in the continental US. Often times our customers perform the installations DIY using the help of our informative guides and 24/7 available (on request) phone support. We’ve also built excellent working relationships with a nationwide network of gate installers who are familiar with installing our gates, as well as providing automation services and long-term preventive maintenance & safety checkups. Depending on the gate design and material, from $200-500 dollars per linear foot. Therefore a 10′ gate panel would be anywhere from $2,000 to $5,000. 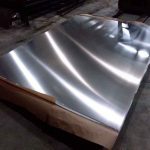 It depends on our customer’s needs because steel and aluminum each have their advantages and disadvantages. We have a detailed comparison page here. Keeping those factors in mind is helpful when considering which material to use in the construction of your gate. Our lead time to completion is usually 3 to 4 weeks from the time a down payment is made. Larger or exceptionally intricate projects may take longer to complete. We can either deliver or have it shipped directly to you via freight. We have shipped to the majority of the lower 48 states. There are several options for receiving your new driveway gate package. The first option, pick up from a local freight terminal, is usually the least expensive. The second option is delivery to a commercial address with dock or forklift and is typically more expensive than a terminal pickup. The third option is residential delivery. This can add several hundred dollars to the shipping cost. 3-4 individuals can cut the straps, open to the skid and offload the panels in a half hour. A lift gate can be ordered that will lower the skid to the ground for an added fee. Steel gates generally weigh approximately 25 lbs per linear foot. Therefore a 10′ steel gate panel would weigh approximately 250lbs. Aluminum gates generally weigh approximately 8.3 lbs/ft. Therefore a 10′ aluminum gate panel would weigh approximately 83lbs. These weights are rough estimates only, please contact us to learn more about a specific gate you may have in mind. Existing gate designs are free. For new designs, depending on the complexity of the project we may require a design deposit of $100-$299. Yes, each gate we ship to our clients is guaranteed to arrive in its original condition and is covered by freight insurance.gs.